Thanksgiving is a popular time to donate time, money, and attention to the community. San Diego has plenty of people who need help, and, fortunately, plenty of people who want to help those around them. In San Diego, we are lucky enough to have more than a few outdoor options that make for a lovely day full of gratitude for the whole family. Ten K’s, 5K’s and fun runs are very popular with San Diegans this time of year, and there seems to be one for everyone! Here’s a list of the top five ways caregivers, home care aides, companion animals and loved ones can stroll, walk and run to improve lives in America’s Finest City. What: 10k, 5k and Fun Run benefiting the Jacobs & Cushman San Diego Food Bank and the North County Food Bank. Dogs welcome! Team fundraising encouraged! Food drive on site! When: Thanksgiving Morning on November 22, 8am. Helen Woodward Puppy Race after the Fun Run. What: “San Diego’s only Turkey Trot that has 3 distances to choose from!” Remember, you must be able to complete any of the 3 races within 2 hours and 30 minutes, because everyone has turkey to get to later! Tickets: Registration info here. Registration for 1000 participants only, so don’t wait to sign up! When: Thanksgiving Morning on November 22. Registration at 6:30am, timed 5K begins at 7:35am, and Fun Run begins at 7:40am. Registration packet pickup on November 21st, 11am – 6pm, at REI in Kearny Mesa. 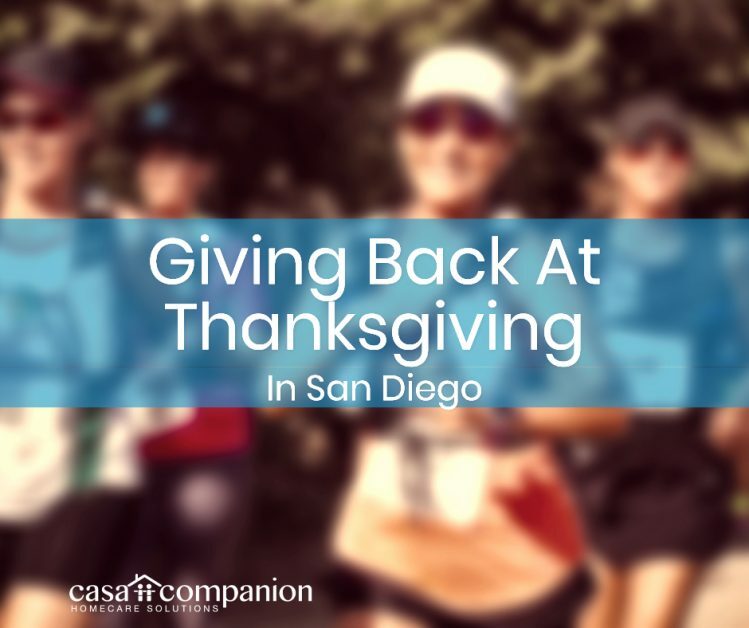 What: “Join 7,500+ participants and spectators in Balboa Park for the 17th Annual Thanksgiving Day 5K On November 22nd, 2018! Registration will open at 6:30 am and the race will begin at 7:30 am. 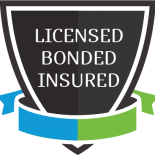 Click here for more details.” Dogs welcome! Team fundraising encouraged! Donations appreciated whether you run or not! Tickets: Registration info here. Register as an individual or as a team! What: “Start your Thanksgiving Holiday fun with friends and family at the Encinitas Turkey Trot 5k & 10k. It starts and finishes under the World Famous “ENCINITAS” Sign on Coast Highway 101.” Includes Costume Contest with prizes! If you’re looking for some less sweaty way to help, there’s a great way to find volunteer opportunities for yourself and your family this season. Go to VolunteerMatch.org to search for nonprofits looking for help all over San Diego County. Search by age, activity type, and cause. Find exactly what you’re looking for and make a difference exactly the way you want to. If you’re looking forward to family, fun and food next week, consider adding philanthropy to that list! Happy Thanksgiving!